The former director of the Issam Fares Institute for Public Policy & International Affairs Tarek Mitri's speech during the conference. BEIRUT—A central critique of some analyses of the so-called Arab Spring is that they focus on the fall of elite regimes and cults of personality and don’t pay enough attention to broader and subtler institutional change in Arab societies. 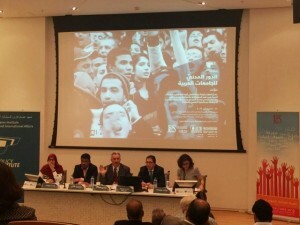 A conference on “The Civic Role of Arab Universities,” held April 21-April 22 by the Lebanese Association for Educational Studies (LAES) in collaboration with the Issam Fares Institute for Public and International Affairs at the American University of Beirut (AUB), helped ground that critique in a real-world perspective. The dizzying number of presentations and often subversive discussions questioned the state of Arab university discourse in general, well beyond any specific civic role, if the participants could even agree what that meant. Perhaps most impressive was a rare success story from Lebanon where professors helped draft and push anti-smoking legislation through the Lebanese parliament in 2011. Upon learning of an “archaic” smoking draft law circulating, Professor Rima Nakkash said an AUB faculty group met with politicians presenting evidence-based local research and forming partnerships with the media and civil society groups to lobby for change. In a country with some of the highest numbers of smokers in the region, where “non-smoking” sections were virtually non-existent, the law banned smoking indoors at public and private establishments. Enforcement included frequent raids by a specially designated police force that could be summoned via a citizen hotline. But although the law was initially considered a success, five years after its passage, indoor smoking is on the rise again. Nakkash admitted that enforcement was short lived, since only a few months after the law was passed, the government decided to allow smoking on New Year’s Eve again with the idea that relaxing the law would help businesses. “Obviously as academics we run up against a wall because we are not enforcers,” Nakkash explained. Yet many of the other speakers stayed away from specific civic action case studies in favor of a more textual analysis, as part of a project run by the Lebanese Association of Educational Studies on “The Civic Role Of Arab Universities.” Relying largely on university websites, speeches and course materials, as well as opinion polls among students and faculty, academics from across the region produced a series of charts revealing the very low usage of terms such as civics, citizenship, human rights, rule of law and democracy at 36 Arab universities. Such terms were least used at academic institutions in North Africa and the Arab Gulf countries. The Levant countries fared only slightly better. From The Civic Role of Arab Universities A conference, by Habib Battah. Even when the words appeared, they rarely translated into action, researchers said. Speeches were made, but community activities were seldom carried out. Outreach centers promising civic action were often inactive, unused by students or not established at all. The few outliers tended to be the American universities in Beirut, Cairo and Kuwait. 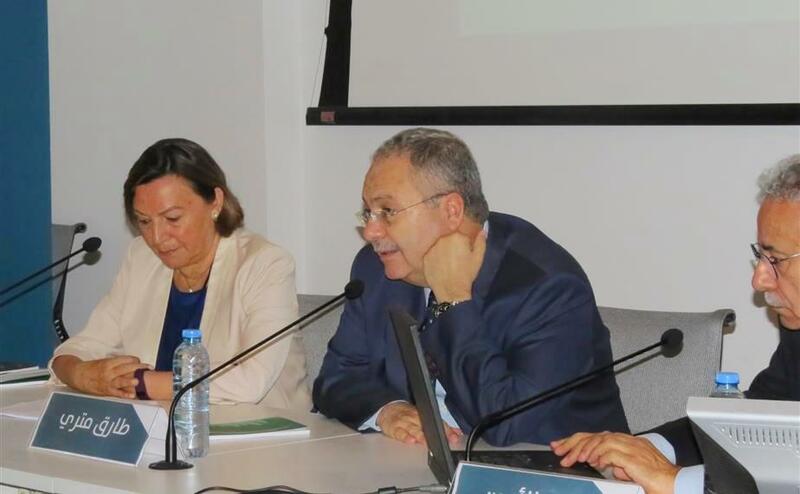 The director of the Lebanese Association for Educational Studies project, Adnan El Amine, said the “culture of law” could be found in only 2 percent of speeches in the 36 universities surveyed. “The culture of law was very weak or completely absent,” El Amine concluded. But some participants bristled at the suggestion that content analysis alone could gauge civic or community involvement, sparking heated debates over what some said were Western-style terms and whether their usage or frequency could be used to rate the social performance of Arab universities. 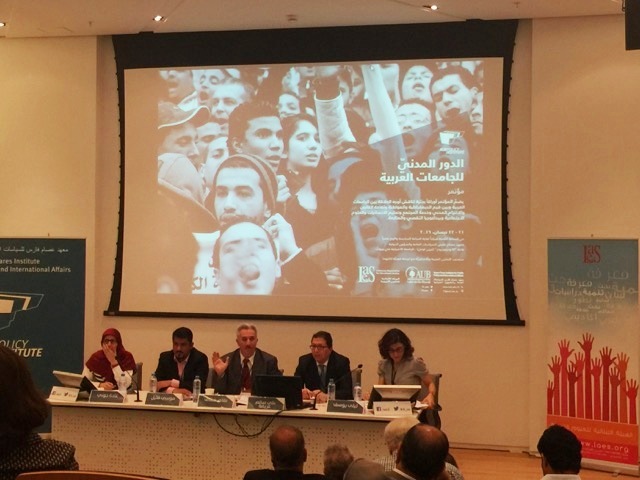 El Moussawi’s own presentation argued that students enjoyed less freedom at the American University of Beirut than at the state-run Lebanese University when it came to student organizing and elections. Based on a review of regulations and student interviews, Moussawi found that AUB student-government parties were tightly monitored, with faculty members present at meetings, strict regulations imposed on communications and little impact on decision-making. Ph.D. student Ayat Noureddine gave an overview of student-led religious and cultural activities at the Lebanese University’s Faculty of Science. These included commemorations of Prophet Muhammad’s birthday, Sayyidah Zaynab and a celebration of a woman’s veil. Noureddine’s presentation ignited an eruption of resistance to the notion that religious activities could be considered civic in nature. Some participants in the conference said there is a contradiction between civic and faith-based activities that only include adherents. “If we want to talk about religion, we’ll have to change the name of the conference,” one attendee complained. Others accused student groups as being a proxy for sect-based Lebanese political parties and noted that they often dominate campus activities to the detriment of unaffiliated groups. Noureddine responded by pointing out that her role was just to observe. “I’m not here to tell you if it’s right or wrong,” she said. But the idea that human-rights discourse was absent from Arab or Muslim institutions was countered by an Iraqi professor, Ibraheem Albaidhani, who noted that the teachings of the Imam Ali bin abi Taleb were referenced prominently in the 2002 UN Arab Development Report as a model of social justice. “One of the main conditions for respecting human rights in society is to find these rights and principles rooted in prevailing culture,” he said. But during the dynamic discussions, participants kept circling back to the need to anchor any research in the region’s complicated social and political realities. Raheel’s determination seemed to bring home a broader point: Whether or not the participants could agree on how to gauge civic engagement, they cared enough to come together against the odds of crippling turmoil to produce a spirited, critical and necessary discussion.